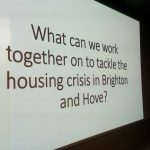 The 5th Housing Forum in being hosted in collaboration with the Brighton and Hove Community Land Trust. 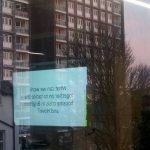 Sat 16th March, at the Gallery, University of Brighton, Grand Parade, BN2 0JY. 10 – 4.30: drop in or stay the whole day! 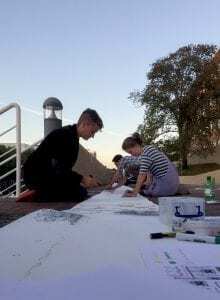 We invite you to come and hear stories and see pictures of what it’s like to build your own homes in Brighton & Hove, told by the people doing it. 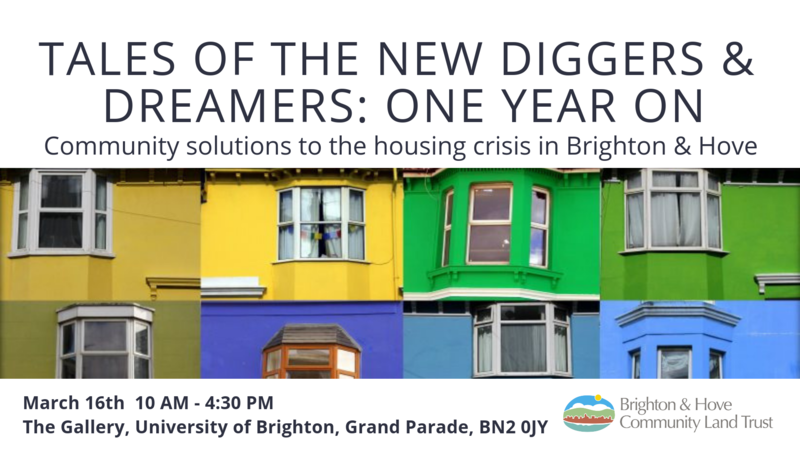 Over the last year over 150 people in Brighton & Hove have been involved in developing their own housing projects and this is a chance to hear what it is like, the ups and downs and to see the amazing homes and communities they are making. Sussex Cohousing is developing 30 homes as an intentional community, where sharing of resources will be the norm and they will shared meals in their common house. Bunker Self Build Housing Coop is developing their first 3-bedroom affordable eco homes for low income families for £225k each, using modern construction methods. 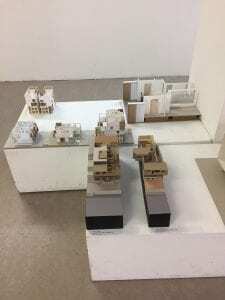 SEASALT Student Housing Coop is creating the first affordable student-led housing in the SE of England, through buying and refurbishing a large 10-bed house and running it themselves cooperatively. Coldean Community Organisation is creating 12/15 affordable homes and community facilities including a gymnasium for the people of Coldean. South Downs Eco is creating affordable living/work spaces in a site in the South Downs National Park. Other groups will also participate. 1pm Vote on the Community Led Housing beautiful vision designs. 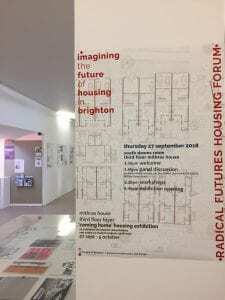 The University of Brighton Graphic Design students will be showcasing their design ideas for a vision of Brighton with much more community-led housing. You can vote for the most persuasive designs. 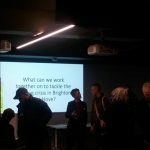 3.45 – 4.15pm BHCLT – 5 things that make community-led housing possible. 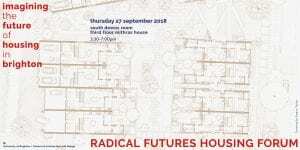 How you can create your own homes? We will present some of the key lessons learned from a year of helping groups to build or buy their own homes. 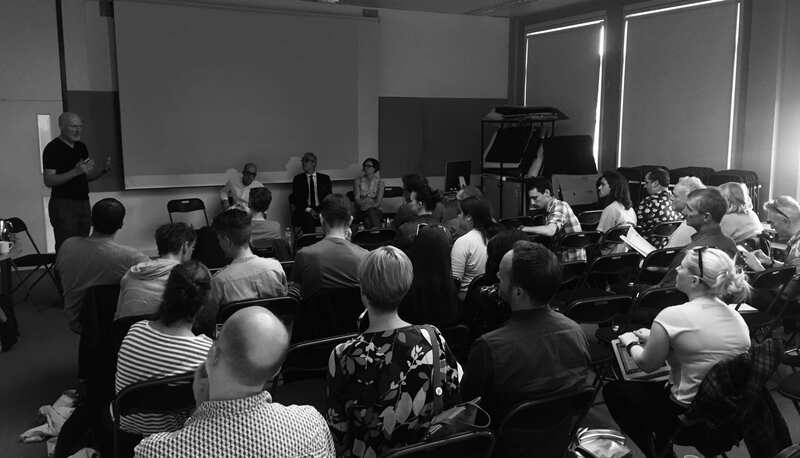 The third Housing Forum was organised by Tilo Amhoff and Luis Diaz and hosted by the School of Architecture and Design. 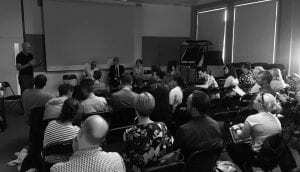 We began the evening with a discussion that explored different ways of imagining the future of housing in Brighton. Ian Bailey (Studio 7 and SoAD) outlined alternative frameworks for land and housing development. In contrast to the existing top-down developer led model of housing, Ian spoke about how a community led approach would better provide the houses we need, increase social cohesion and enhance health and wellbeing. 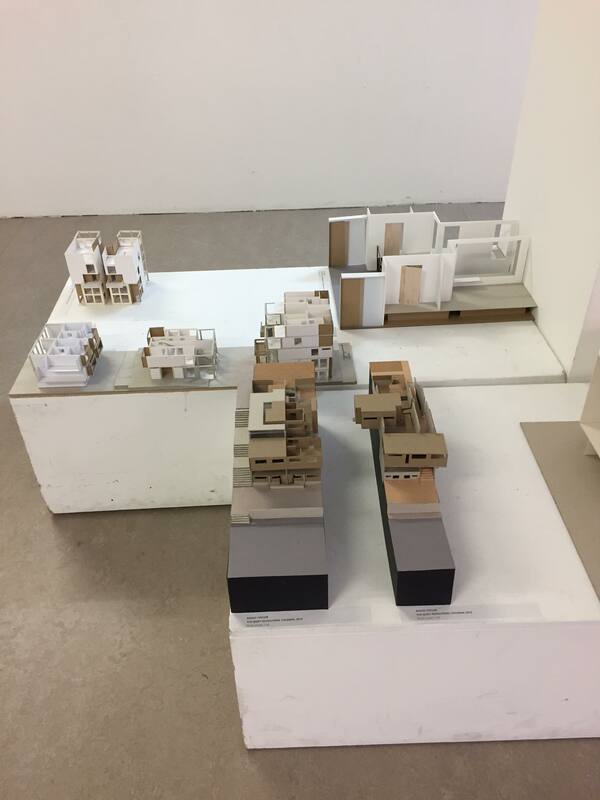 Luis Diaz (SoAD) introduced us to the work that he has been doing with his undergraduate design studio imagining new models of suburban housing across a range of sites in Brighton and Hove. 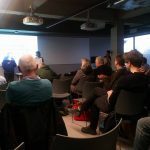 Lisa Hartley (SEASALT Housing Co-operative) spoke about student housing co-operatives and the project she is co-ordinating to establish a co-op in Brighton to provide students from with decent, affordable and secure accommodation. 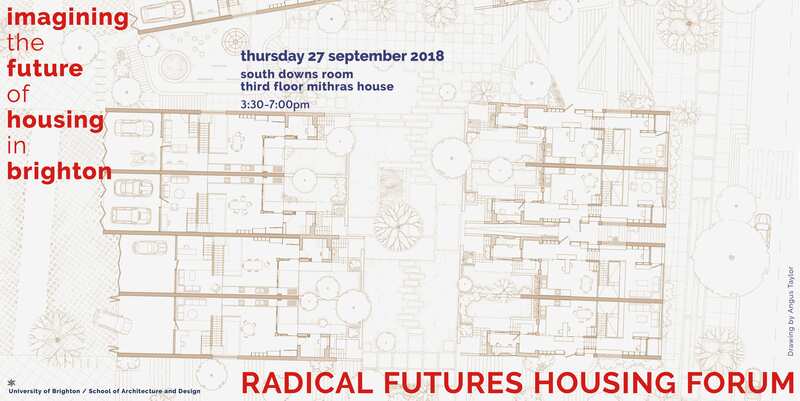 Michael Howe (mae Architects and SoAD) finished the discussion by thinking about how historic housing standards might inspire us to imagine housing differently today. 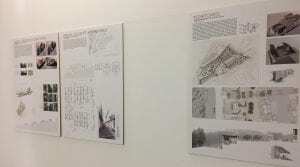 Colleagues from the School of Architecture and Design then hosted a series of drawing workshops. Tilo Amhoff led a session thinking about the relationship between the individual and communal in housing and building co-operatives; Luis Diaz ran a workshop on cognitive mapping of your neighbourhood and community; and Alessandro Zambelli used the idea of the commons to interrogate designs for new student accommodation. The evening finished with the opening and guided tour of the exhibition ‘Coming Home’, curated and designed by Luis Diaz. 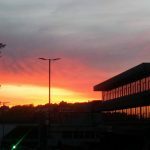 This Housing Forum will focus on collating existing knowledge about the housing situation in Brighton and Hove. 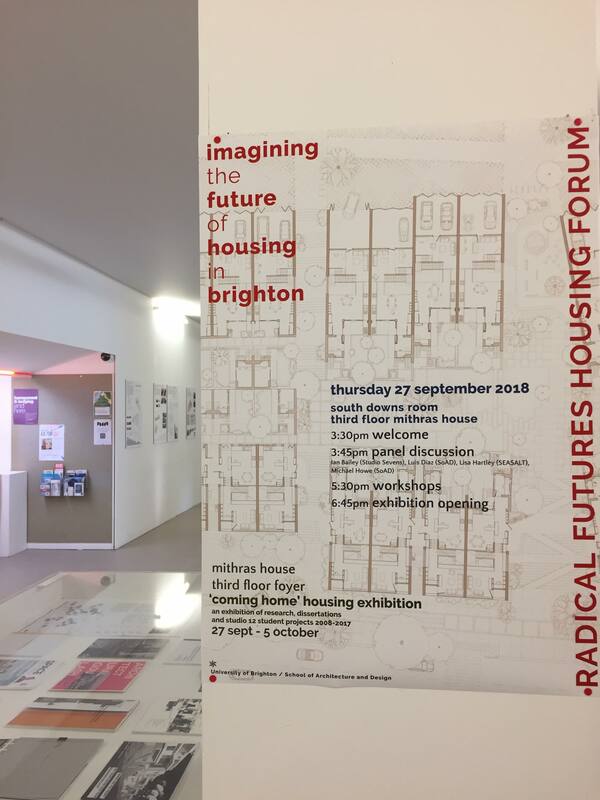 We will focus discussion around some of the key themes identified in the first forum: homelessness; the private rented sector; alternative forms of housing; local policy and planning; the national picture; and the housing needs of marginalised groups. Please come prepared to talk about any resources and research that you would like to share. We aim to collate this information to create an online resource centre to support those thinking about housing in the city. 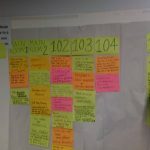 We will also identify what gaps there are in our knowledge and work out what research is needed most urgently to support community led efforts to tackle the housing crisis.